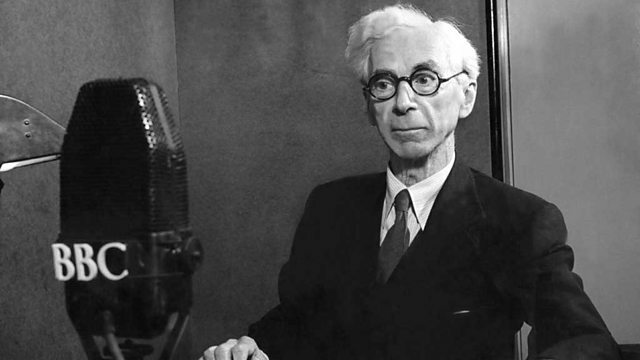 Bertrand Russell examines social cohesion throughout history, and considers the effects of increasing state control, as exemplified by Soviet Russia, in his second Reith lecture. The inaugural Reith Lecturer is the philosopher, mathematician, and social reformer Bertrand Russell. One of the founders of analytic philosophy and a Nobel Laureate, he is the author of Principia Mathematica, and the bestselling History of Western Philosophy, written in 1946. His Reith lecture series is entitled 'Authority and the Individual'. In his second lecture, entitled 'Social Cohesion and Government', he examines how forms of social cohesion have developed throughout history and considers the effects of increasing state control, as exemplified by Soviet Russia.